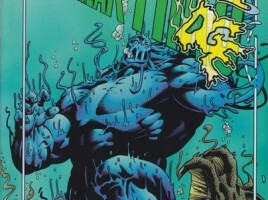 As part of our coverage of John Carter: Warlord of Mars Annual #1, we interview Marv Wolfman! The Human Fly #2…is not great. Godzilla? Check! S.H.E.I.L.D.? Check! Hercules? Check! Black Widow? Check! Godzilla vs. The Champions…who will be the all time champion? And who will have a helicarrier crash into the San Francisco bay?